Aug. 3, 2018, 5:33 p.m. 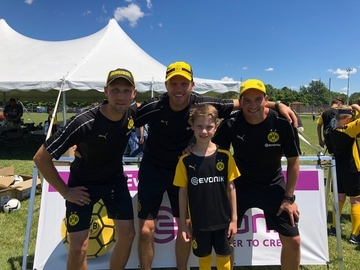 Thank you Evonik for one of the most memorable summers I could have asked for! Thanks to the mentors and professionals I had the opportunity to work with and learn from. And lastly, thanks to the other interns for making this experience so much fun. July 27, 2018, 11:36 a.m.
July 23, 2018, 12:59 p.m. 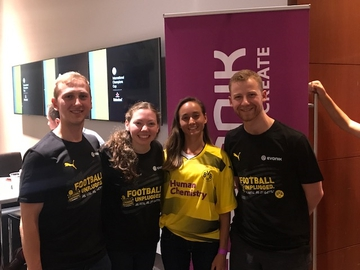 Thanks to Evonik I had an amazing experience attending my first live soccer match! In addition, I had the chance to support the #HumanChemistry campaign for my Summer HR Project. P.S. : The yellow shirt is what is up for grabs for the photo contest, keep posting!!! July 20, 2018, 3:36 p.m.
Great off-site team building activity with the SPEs at Tippe. Special thanks to Zach, Katelyn and Sam for being great social mentors. 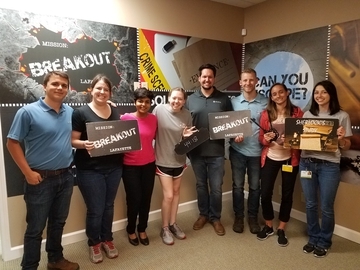 Side Note: We escaped! July 18, 2018, 7:26 p.m. 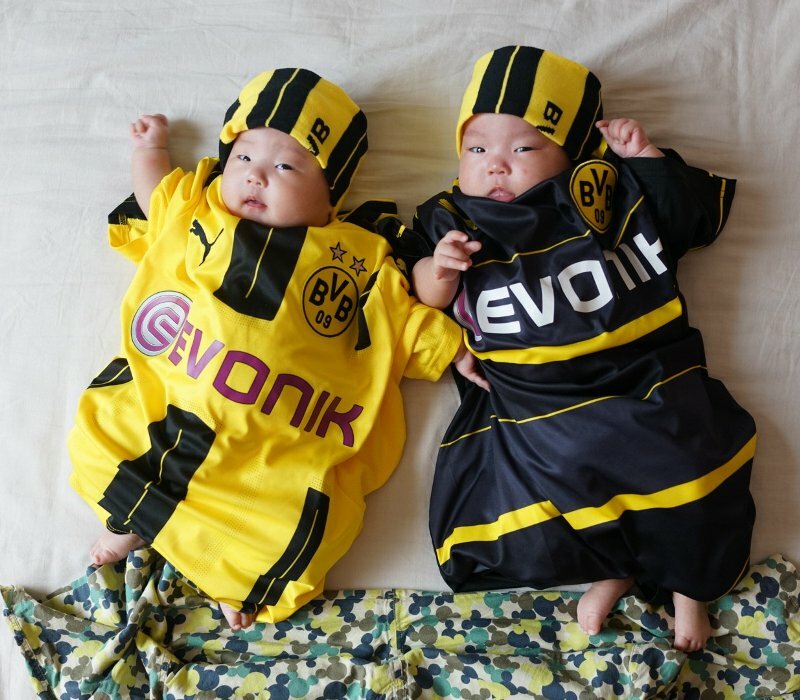 Thanks for the BvB Day! It was great for the kids and the parents. 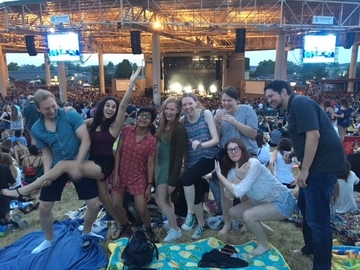 July 16, 2018, 2:40 p.m.
Tippe interns had a great time at the Killers concert in Indy! I'm so glad to have met such kind and fun people who share my love of music. July 13, 2018, 5:13 p.m. Being away from home can always be tough. 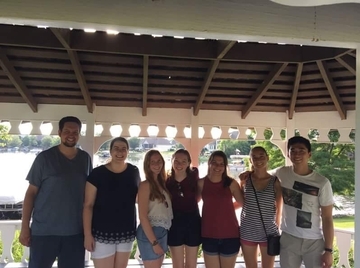 Thanks to some great interns I had the best July 4th, filled with lots of laughs, fireworks and some delicious food. 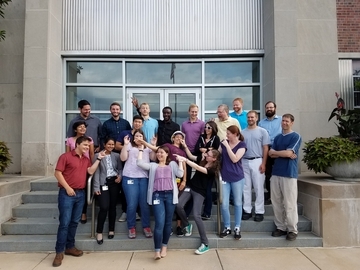 One of the best things about being an SPE intern is being connected with so many amazing people. Shout out to SPE Intern Jo for hosting us!